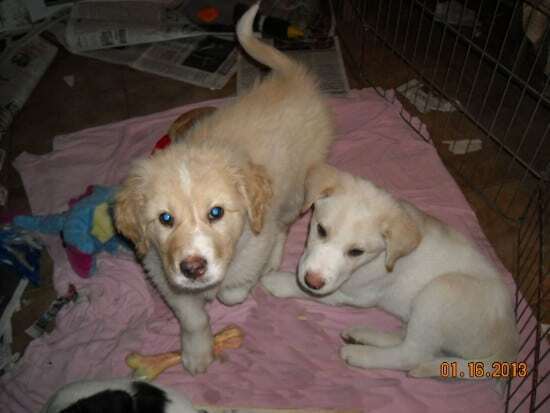 The Golden Pyrenees is the result of cross-breeding the Golden Retriever and the Great Pyrenees. This beautiful outcome takes the best out of its parents: a luscious appearance and wonderful character. 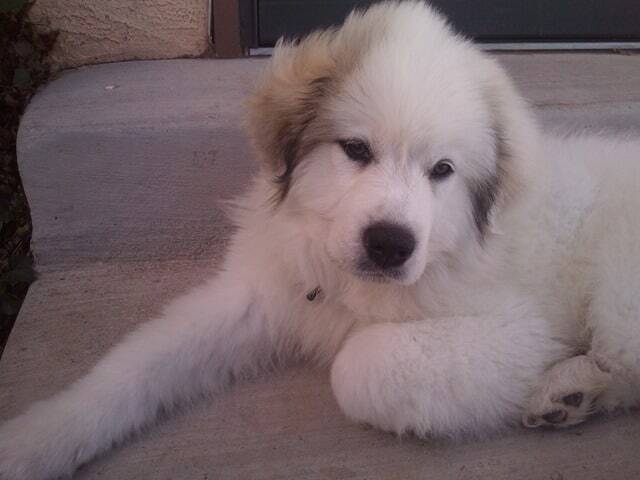 The Great Pyrenees is, as its name suggests it, very large (over 25 inches and weighs more than 110 pounds). 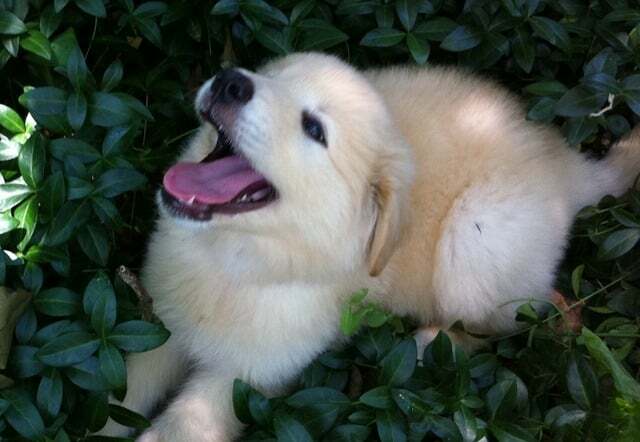 The Golden Retriever is also of a decent size (22-27 inches and up to 115 pounds). As a result, the Golden Pyrenees is a large dog just as their parents (up to 32 inches and 75-120 pounds). Golden Pyrenees keeps the Golden-like face: with almond shaped dark brown eyes, long muzzle, dark nose and medium long floppy ears. 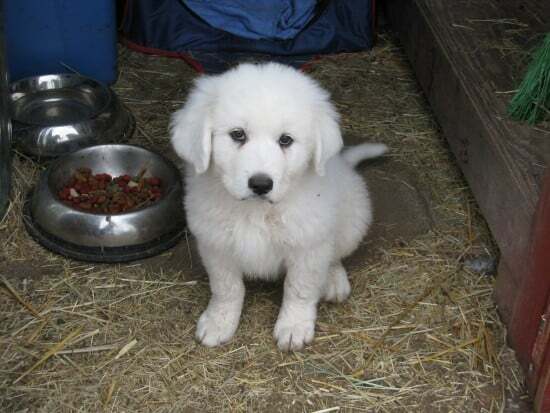 It has a slightly stronger and taller body Great Pyrenees-like. 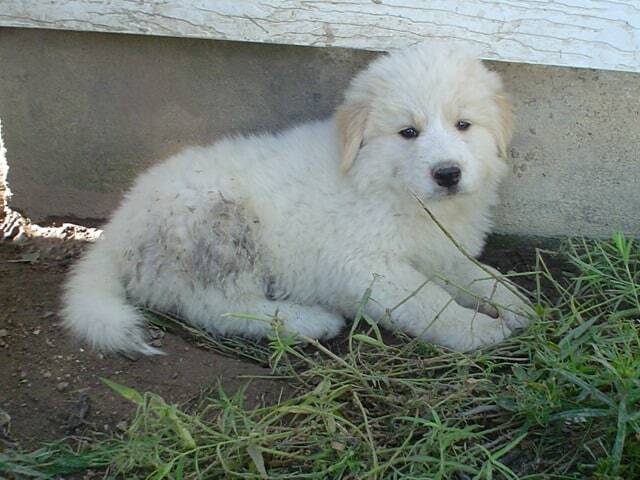 It combines the traits of an agile and obedient Golden and the strength of the guarding mountain Great Pyrenees. Golden Pyrenees has a fluffier, dense, long double coat than the Golden, and it can be black, white, brown and gray. 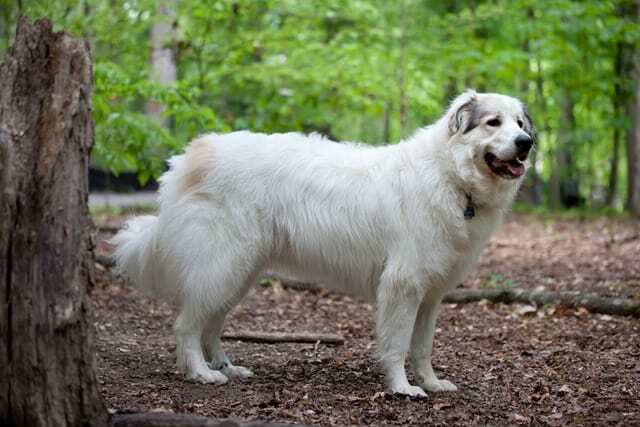 Since it comes from an average and a seasonal heavy shedder, the Golden Pyrenees shads pretty heavily and need moderate grooming. It is classified as a working, sporting crossbreed. That means that it is considered it can be used more than just as a pet. Its working traits enables Golden Pyrenees to be assist humans in certain tasks, to work as a social dog for impaired people. As a sporting dog, it can help in hunting activities and participate in games. Golden Pyrenees have a wonderful character. 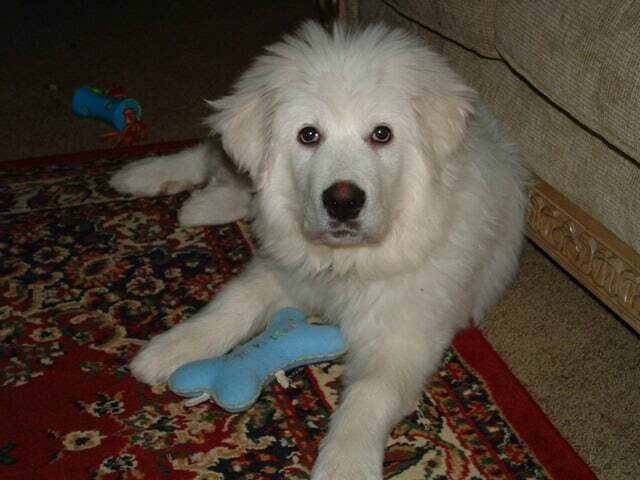 It is kind, loyal and devoted as a Golden Retriever and alert and hard-working like a Great Pyrenees. It is great with families and towards anyone who showers it with affection. With kids it behaves beautifully. Towards other dogs and pets it is friendly, taking off after its Golden parent. Being a large dog, hip dysplasia is a common health problem. Otherwise, their life span is long and you will enjoy its loving company for at least 10 to 12 years, if proper care is provided to it. It is a large active dog and it needs its space. 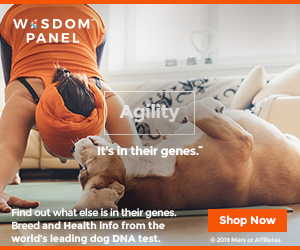 They usually have to have a yard and good daily exercise like a long energetic walks and play time will keep it cheerful and allow them consume their energy. 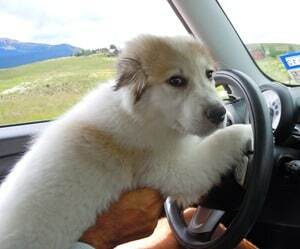 They are a very good combination between intelligence and alertness so training them should be easy. They’re kind and eager to please and they respond well to positive incentives. 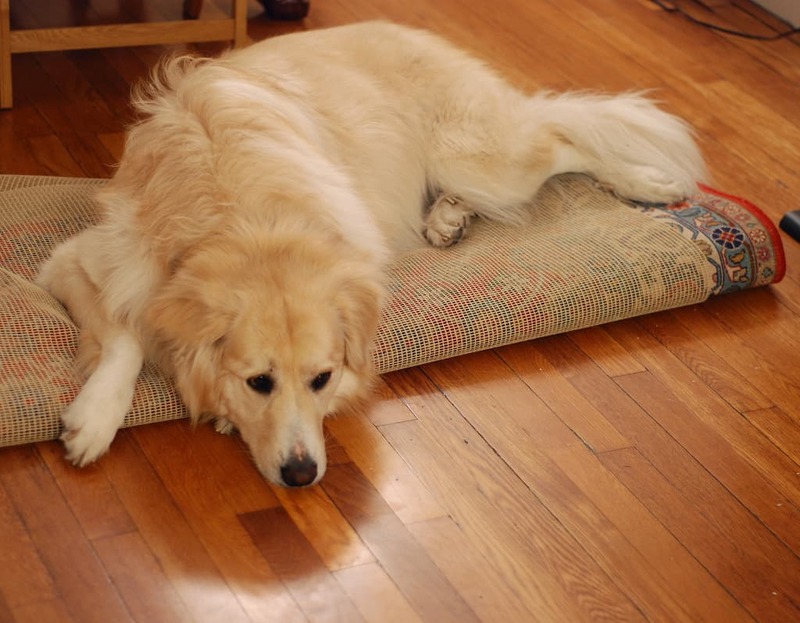 Grooming may be the most challenging part with a Golden Pyrenees. Their big fluffy luscious coat needs lots of brushing, trimming and grooming and their ears need to be taken care of regularly. They are pretty heavy shedders and this may have an impact on how much cleaning after them you may have to do. – Very good for families with children.